Looking to schedule showings for this afternoon or evening? Probably not a good idea since many people are closing up early to enjoy the holiday. 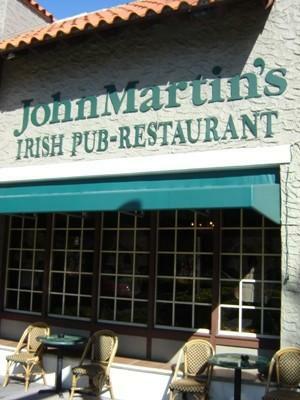 Today is St. Patrick’s Day and here in Coral Gables there is one go-to place to celebrate: JohnMartin’s Irish Pub & Restaurant on Miracle Mile. The pub will be celebrating its 25th birthday in just a few weeks and still remains as one of South Florida’s most authentic Irish pubs. The owners, John Clarke and Martin Lynch, both from Killinkere in County Cavan which is northwest of Dublin, pride themselves in maintaining the authenticity and are prepared for today’s annual St. Patrick’s Day celebration and street festival, the most popular in Coral Gables. Where will you be enjoying a Guinness and Shepard’s Pie this evening? If you are in Coral Gables you should definitely make a stop at JohnMartin’s.